we are particular about “real” molding. Why are we so particular about achieving what is “realistic”? It is because we are in pursuit of “vigilance” that deals with “form” and in the pursuit of fishing. The “lures” that Little Jack has spent close to twenty years to create, are consistently realistic without any deviation. Little Jack’s commitment to achieving realistic form is strongly reflected in the products. Why are we so particular about achieving what is “realistic”? It is because we are committed to the pursuit of the possibilities that are derived from form. What is deeply involved in this issue is “vigilance”. It is the vigilance maintained by the large solid forms which are endowed with the wisdom and strength that have survived the harshness of Nature. It is the vigilance to ensure that they are not detected as baits by the fish that only bite outside the reach of the night-light. It is the vigilance for self-defense that the field of high pressure imposes. We believe that the “realistic form” of the baits constitutes one of the important factors that enables us to understand the solid body that is governed by vigilance, thereby to better perceive the possibility of solving all kinds of vigilance. These lures are characterized by their resemblance to the baits–not just in size but also in the sense of volume, thickness and form, as perceived by the “under-angle fish eyes”. It is precisely because they are, as their name says, “Match the Baits”, that the target fish lets go of its vigilance and bites them. Of course, in addition to their form in being realistic, they have other realistic factors that are directly relevant to fishing. We are focused on the realistic factors that truly determines whether or not the angler catches his fish –such realistic factors as the speed and the movement with which the bait sinks after a herd of bait solids have rushed in, the orbit of the target trout that falls and hits the surface of the water as it preys on a cicada, the landing sound when the “structure” is being aimed at, etc. Therein lies the importance of not only the way the lure floats, but also how realistic it is–in making the fish bite, having let go of its vigilance. From long experience, we have realized the importance of making possible and probably situations of catching into real situations of successful catching. We have been constantly exploring the possibility of catching with a larger solid if a small one had failed to do the job. We have also explored making situations in which even though we had a hunch that the fish would bite but did not, into a continual series of bites. It precisely because we had benefited from our countless realistic endeavors and scored success, that we have continued to be sticklers for what is realistic. 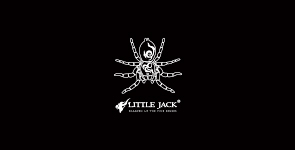 Please experience our realistic products in the field, those which Little Jack has been pursuing fishing.